Here at Mountain House we keep a keen eye open for stories to share with our community, particularly those that encourage folks to get outside and explore. And wonderfully, people are doing just that! From hiking the PCT, to summiting mountains, to discovering natural wonders in our own backyards, outdoor recreation seems to be at an all-time high. Great news, right? Well yes. But … we’re also keeping an eye open for other stories, too. Because as more and more people get outside and turn little-known areas into popular “must-see” experiences, there’s a risk that some ecologically-sensitive areas could be “loved to death.” So we want to highlight a different story, and encourage you to consider experiences that instead, love these special places to life. The Opal Creek Wilderness is the most recently protected wilderness area here in Oregon, thanks to the folks behind the Opal Creek Ancient Forest Center. Through their efforts they have been able to conserve 35,000 acres of old growth, protecting this vital watershed and ecologically diverse gem. They now concentrate most of their conservation efforts through programming offered at the rejuvenated mining outpost in Jawbone Flats, from outdoor schools, to wilderness medicine certification programs, and even private cabin rentals in the midst of old growth Douglas Fir, Western Cedar and Hemlock. Lots of people head to Jawbone Flats during the warmer months, taking advantage of the cool swimming spots and cliff-jumping opportunities. And while those activities are certainly fun, just think about the richer experience of doing something that integrates recreation with education and conservation, so that those swim spots and big trees will continue to be around for future generations. 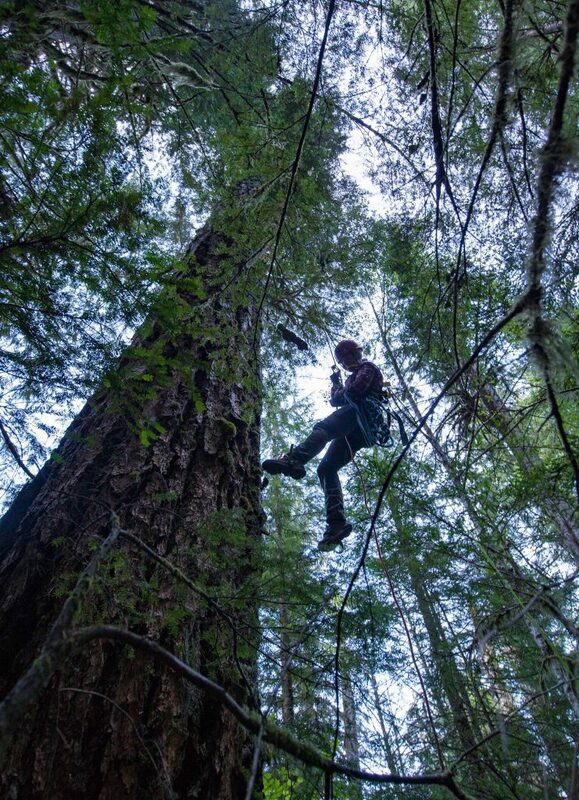 Gear and safety check with Damien Carré of Expedition Old Growth. Photo credit Uncage the Soul Productions. No Monkeying Around. Climb With an Expert. 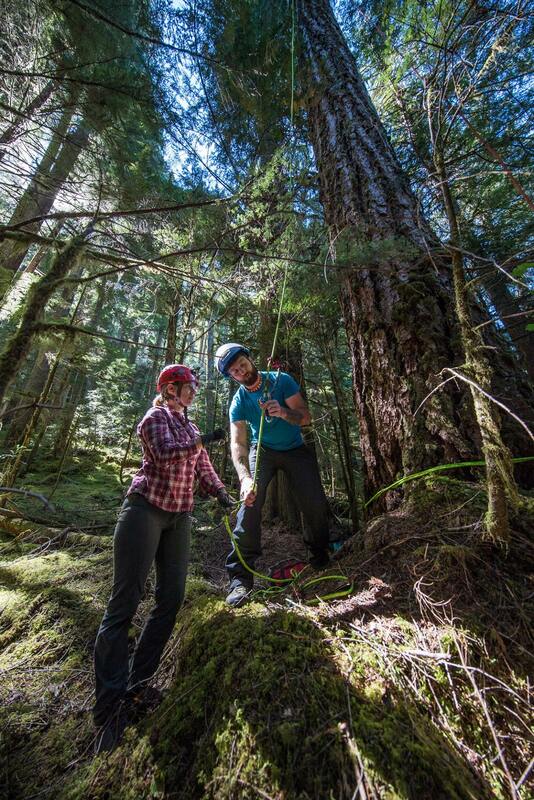 Expedition Old Growth partnered with Opal Creek Ancient Forest Center to offer an immersive tree-climbing/camping experience. Damien Carré, owner-operator of EOG, has been up inside trees for 17 years, possessing the technical skill to ascend and descend safely, while minimizing the impact on the trees and surrounding forest. Interested in ascending a tree in your neck of the woods? Find a guide! 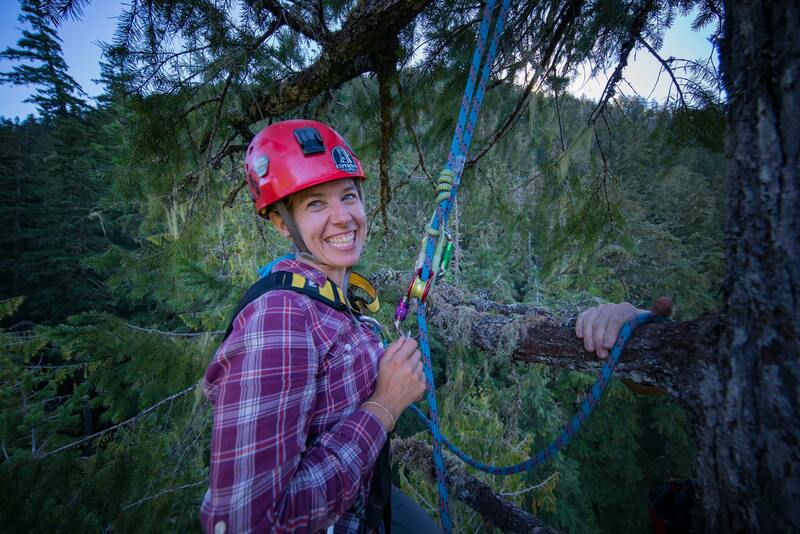 Expedition Old Growth, for instance, provides experienced catered climbing excursions in Oregon and Washington. Enjoying a 360 degree view of an Oregon treasure. Photo credit Uncage the Soul Productions. So we want to hear from you. What gems have you discovered in your own backyard that have offered you an experience where you were able to play — and learn — all at the same time? You can read Kelli’s full account here, Asleep in the Arms of Ancients. 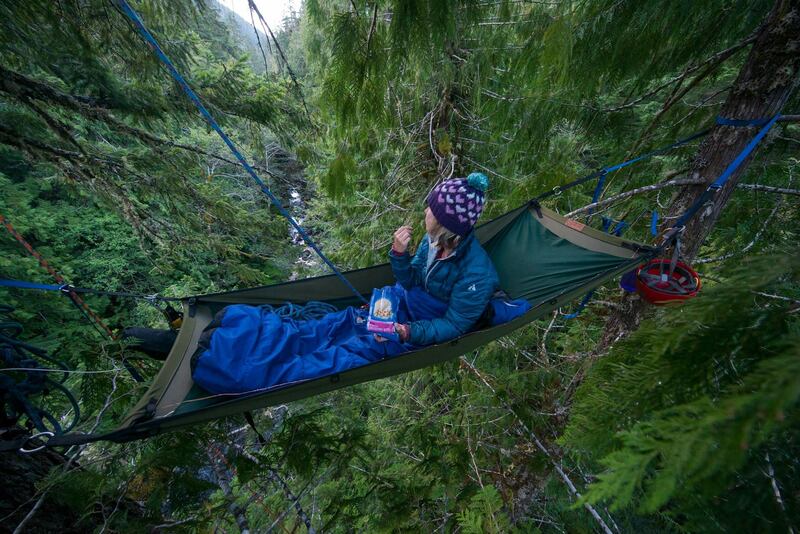 And yes, she did get the chance to have her overnight in a treetop. Not only that, she brought Cheesecake Bites. Because she could. This entry was posted in Camping, General, Mountain House, Nature and tagged conservation, oregon, outdoor recreation, tree climbing by Kelli Martinelli. Bookmark the permalink.